Saves up to 50% of Your Heating & Cooling Costs! Thank you for visiting the official website of Weathershield Insulation. While we’ve only decided to go digital very recently, this product has been a success since 1976. Until now, word of mouth has been our main source of sales, but we strive to inform a much wider audience of our product’s benefits through this site. 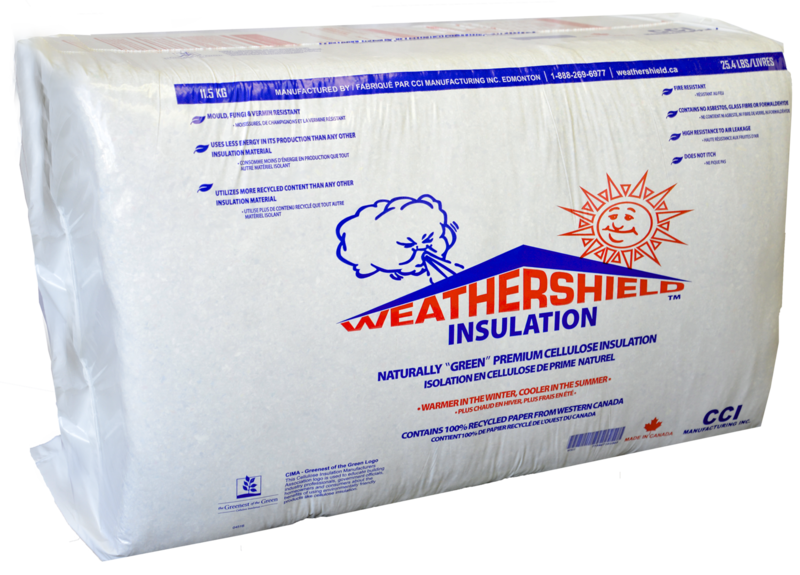 Weathershield is an eco friendly insulation product made from cellulose fibre, a processed paper material treated with harmless, naturally-occurring chemicals. The paper used in Weathershield is 100% recycled material. It is installed in the attics of commercial and residential buildings, and its superior performance has kept it a contender for almost four decades. While Weathershield is simple to install yourself, we offer professional insulation installer services and are glad to answer any questions you may have. As well as being made from 100% recycled material, installing Weathershield will reduce both your heating bill and your carbon footprint, saving you money. Our insulation is priced competitively, and the savings on your utilities on top of our helpful and informative staff ensure that you get the most out of every dollar. 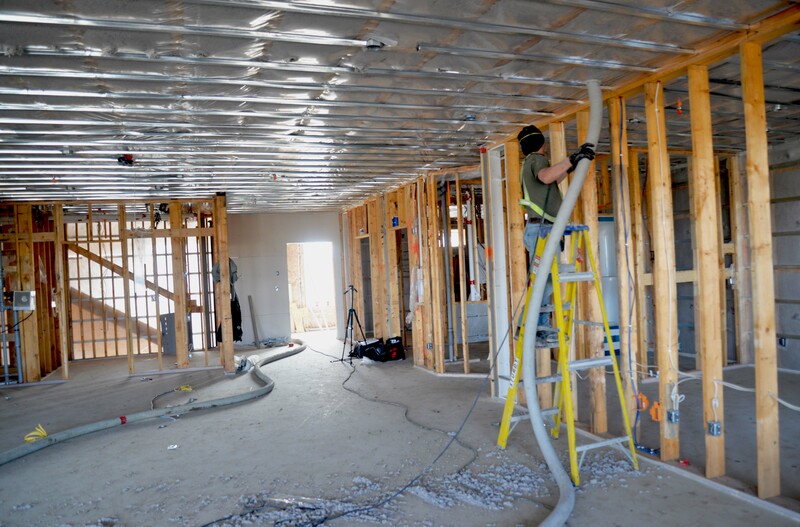 If you have any questions about installation (whether renting a machine to do it yourself or hiring professionals), insulation cost, or any other general inquiries, we are glad to help. Call us at (780) 800-7616, or leave a message on our contact page and we will direct you to whichever service best suits your needs. “In the spring of 2005 we decided to replace the shingles on our roof. We had heard about cellulose insulation from a family member and decided while the roof would be exposed, we would re-insulate. We have an open beam ceiling in the front half of the house, and decided to insulate the walls in this area as well. In summer the house remains cool, and in winter it remains cosy and warm; we are very happy with the results. “We have typically used Wallbar for noise reduction in interior walls. Wallbar has given us an easy, economical way to provide sound damping for our customers in bedrooms, bathrooms, and sound room areas. Copyright © 2017 Weathershield Insulation Powered by IVSnetworks.